WASHINGTON: Former president George H.W. Bush was being treated for a blood infection on Monday, hours after laying his wife Barbara to rest, his office said. A statement stressed that Bush, 93, was responding to treatment. He was admitted to Houston Methodist Hospital early Sunday, just a day after bidding a final farewell to his wife of 73 years during her funeral. Barbara Bush had died on Tuesday. The 41st president greeted and shook hands with numerous attendees during the invitation-only funeral attended by four former presidents, including himself and his son George W. Bush. 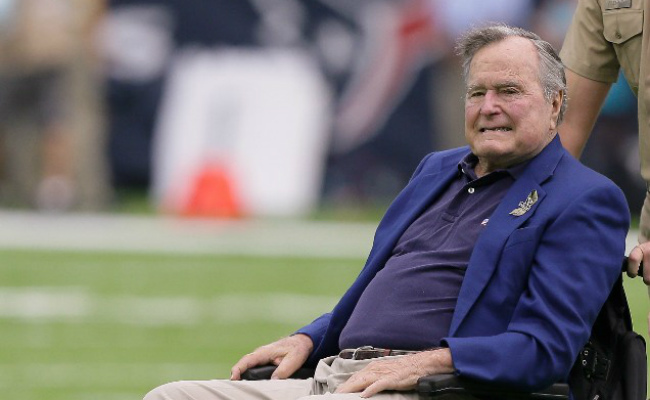 “President Bush was admitted to Houston Methodist Hospital yesterday morning after contracting an infection that spread to his blood,” a statement read.